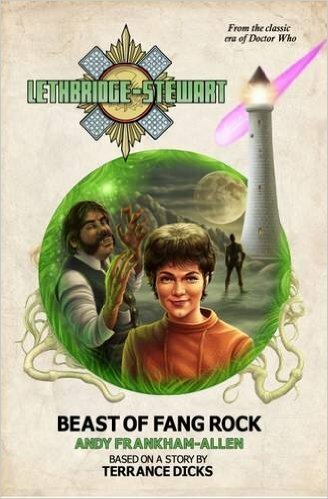 LETHBRIDGE-STEWART: BEAST OF FANG ROCK Review | Warped Factor - Words in the Key of Geek. Matthew Kresal is fairly sure that's Cromer. With its combination of the early days of Colonel Lethbridge-Stewart in his post Web Of Ear but pre-UNIT days, with sci-fi thriller plots that revisit elements from the Doctor Who canon, the Lethbridge-Stewart series of novels seems to be off to a strong start. Continuing in very much that vein is this third entry in the series, Beast Of Fang Rock, written by series editor Andy Frankham-Allen from a story by Terrance Dicks. It's a tale that mixes one of the most highly regarded stories of Classic Who with a plot straight out of the New Series with smashing results. Much of the novel's success comes to its mixing of elements from across not just televised Doctor Who but its spin-off media as well. As the title may suggest, the story uses elements from the 1977 story Horror Of Fang Rock, namely the lighthouse at the titular location that served as the setting of that story. More than seventy years after the events of that story, Colonel Lethbridge-Stewart gets drawn into proceedings, as does Anne Travers who now works at the Vault (introduced by Gary Russell in the Virgin Missing Adventure novel Scales Of Injustice) and has come across a century and a half year old letter than leads her to the newly renovated lighthouse. Tying in elements from Dicks' original story, elements introduced in Wilderness Era novels as well as characters introduced in earlier novels of the series, it all sets up a plot that ties together large parts of the show's history. Where the New Series influence kicks in is the plot. Andy Frankham-Allen has crafted a story of time travel, alien invasion and paradoxes that could give Steven Moffat a run for his money, while also successfully telling a coherent story. Without the presence of the Doctor (or should I say the Cosmic Hobo?) 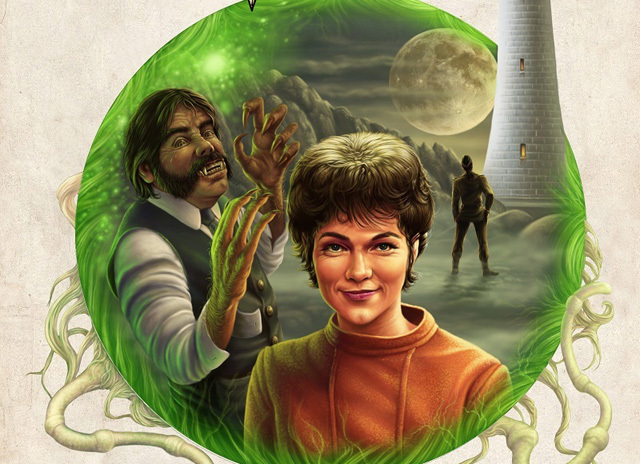 and his TARDIS, the novel nevertheless finds a way of tying the pre-UNIT Lethbridge-Stewart with not just the events of Horror Of Fang Rock but also the back story of the lighthouse. Even better, it does so without creating large plot holes or confusion at the novel's end about what has happened and why. It's a triumph of plotting and my hat is off to Frankham-Allen for his accomplishment. Of course, there's more to the latest Lethbridge-Stewart novel than that. There's the character for one thing, he anchors the 1969 portion of the novel's plot, though, if I have any niggle with the book, it is the fact that Lethbridge-Stewart ends up being relegated somewhat, and instead the star of this particular work is Anne Travers, the proto-Liz Shaw character from Web Of Fear. It's Anne who sets much of the plot in motion including the time travel elements and once that happens we're introduced to her ancestors who are on Fang Rock in 1823. Elsewhere, Frankham-Allen's prose is well suited to the tale with a slight a breezy style that evokes Dicks best Target and Virgin prose while also dealing with the complexities of the story. Thanks to Candy Jar Books for supplying Warped Factor with an advance copy of the novel in return for an honest review.